Recommended for grades K - 12th. Introduce your children to the kind of magic only found in the Land of Oz. This 70-minute, family-friendly production features iconic songs like "Somewhere Over the Rainbow" and "Follow the Yellow Brick Road” from the original movie score. 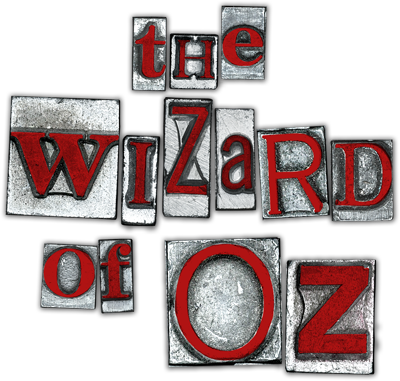 While remaining true to the well-known story and familiar characters, the Alliance’s version of The Wizard of Oz uniquely draws inspiration from American Folk Art to create a magical production that will surprise and delight all ages. This timeless story reminds us that no matter what you’re searching for, you don’t have to look further than your own backyard. The Woodruff Arts Center is the home of the Alliance Theatre, Atlanta Symphony Orchestra, and the High Museum of Art. This was one of the best productions of any musical we have seen in Atlanta. Many of the audience members remarked that this show should go on the road! I agree! Thank you for producing such an amazing show for kids. Truly inspiring! Jeremy Aggers (The Scarecrow/Hunk/Munchkin) is so grateful to be returning to the Alliance. Jeremy is an Atlanta-based actor and musician, as well as an accomplished audiobook narrator. Past Alliance credits include Edward Foote, Candide, Whipping Man, Ghost Brothers of Darkland County, and The Lion, the Witch and the Wardrobe. Other recent Atlanta credits include This Wonderful Life (Aurora Theatre), Buddy: The Buddy Holly Story (Georgia Ensemble), Lawrenceburg (Dad's Garage), and Singles in Agriculture (Aurora Theatre). He has three albums of his music under the Brash Music label, and has narrated close to 300 audiobooks under Jeremy Arthur and other pseudonyms. All his love to KJW! Molly Coyne (Glinda/Aunt Em/Munchkin) is thrilled to return to the Alliance Theatre to tell one of her all-time favorite stories with her all-time favorite people! Molly was last seen at the Alliance Theatre as Vamnesia in Cinderella and Fella. Other Alliance credits include Pancakes, Pancakes! ; James and the Giant Peach; and A Christmas Carol. B.A. Theatre, B.A. Vocal Performance from Denison University, proud member of AEA, and newly represented by The Roster Agency, NYC. So much love to my incredible husband, Brian; Mom, Dad, and Maria; and our kitties Toby and Little Stink. Scott E. DePoy (Uncle Henry/Lead Winkie/Apple Tree/Munchkin) is delighted to be working on this show with this incredible cast and crew. He has composed and performed music for theatres all over town and is a two time Suzi Award winner. Theatre: Edward Foote, A Child’s Garden of Verses, Cinderella and Fella (Alliance Theatre), Almost Heaven, Ring of Fire, Swell Party (GET), The Smoke on the Mountain trilogy (Theatre in the Square, Atlanta Lyric Theatre), Ghastly Dreadfuls (Center for Puppetry Arts). Television: “Bloodlands” and “Sleepy Hollow.” Scott sang on the soundtrack for the movie Cold Mountain and at the Academy Awards with Elvis Costello and Alison Krauss. Neal Ghant (Cowardly Lion/Zeke/Munchkin) is excited to once again return to the Alliance. Alliance credits include One Flew Over the Cuckoo’s Nest, Blues for an Alabama Sky, Native Guard, Glengarry Glen Ross and Shakespeare’s R&J. Other regional credits include A Midsummer Night’s Dream, Our Town and One Man, Two Guvnors. Neal received Suzi Bass awards as best featured actor and best actor for his role in Race. Jeremiah Parker Hobbs (Tin Woodsman/Hickory/Munchkin) is ecstatic to return to the Alliance Theatre! NYC: Radio 930, Philly (29 Hour Reading); Regional: Cinderella and Fella, A Christmas Carol, Knuffle Bunny, Tell Me My Dream (Alliance); How to Use a Knife (Horizon); Grease, Hair (Serenbe). For Julissa, who I get to marry during the run of this show! Jessenia Ingram (U/S Dorothy) is immensely excited to be involved in this production at the Alliance. Jessenia is a graduating senior Theatre and Performance major, Management and Organization minor at Spelman College as well as an Alliance intern. She has been involved in many productions at Spelman including, most recently, Saturday Night, Sunday Morning and Hands Up. Other recent credits include Three Little Birds and Heidi (Synchronicity Theatre). Jessenia gives many thanks to her parents, brother, sisters, and friends for their endless support and love as she continues to blossom into the woman she is destined to be. Ellen McQueen (The Wicked Witch/Almira Gultch/ Munchkin) received her Equity card doing The Secret Garden with Alliance Children’s Theatre in 1988, and she is very pleased to be in the last children’s show that Rosemary Newcott is directing as the Sally G. Tomlinson Artistic Director for Youth and Families. Ellen has performed in theaters all around Atlanta, including 7 Stages, Theatrical Outfit, GA Ensemble, Horizon, Synchronicity, Theater Emory, Theatre in the Square, Atlanta Shakespeare Tavern, and ART Station. Clay has been the Resident Sound Designer at the Alliance Theatre for 18 years and has designed more than 100 productions including 29 world premieres, 31 musicals and 28 Theater for Young Audiences productions. Recent works include Disgraced; Pancakes, Pancakes! ; Edward Foote; and One Flew Over the Cuckoo's Nest. Other design work has included Georgia Shakespeare, Atlanta Ballet, Cincinnati Playhouse, Repertory Theatre of St. Louis, Theatrical Outfit, Geva Theatre and Synchronicity Theatre. Awards: Six Suzi Bass awards for outstanding sound design, with 14 nominations. He is a graduate of Presbyterian College (BA), North Carolina School of the Arts (MFA), and a member of IATSE/USA829. Liz Campbell (Stage Manager) Recent Alliance credits include A Christmas Carol, Paige in Full, Winnie the Pooh, The Jungle Book, The Dancing Granny, Cinderella and Fella, Ugly Lies the Bone, Pancakes, Pancakes!, Tiger Style!, The Lion, the Witch, and the Wardrobe, Knuffle Bunny: A Cautionary Musical, James and the Giant Peach, Shrek, and Charlotte’s Web. Local credits include The World Goes Round, Million Dollar Quartet, Dreamgirls, Peter Pan, Monty Python's Spamalot, Ragtime and Joseph and the Amazing Technicolor Dreamcoat (Atlanta Lyric Theatre); Book of Will, Dividing the Estate, It’s a Wonderful Life, Confederacy of Dunces, and Big River (Theatrical Outfit). She holds a BFA in Theatre from Niagara University. Member of Actors’ Equity Association. Love to Ali and Maggie. Immeasurable gratitude to Rosemary for years of encouragement, unmitigated trust, and support. Kat Conley (Scenic Designer) has designed more than 28 Alliance productions, including A Midsummer Night's Dream, and last year’s The Jungle Book, and Crossing Delancey. Kat has designed scenery for Arena Stage, Orlando Shakespeare, the Kennedy Center, Georgia Shakespeare, Marin Theatre Company, Actor’s Express, The Atlanta Ballet, The Center for Puppetry Arts, 7 Stages, Theatrical Outfit, Synchronicity Theatre, Theatre in the Square, and Aurora Theatre. She continues to be the Charge Scenic Artist for the Alliance Theatre. Whether dramatically challenging, visionary of escapist, all theater and art is important, thank you for supporting it in our community. Phillip DePoy (Music Director) is the author of 21 novels (latest: Sidewalk Saint) and 43 plays (latest: Nick’s Flamingo Grill). An internationally reviewed performance artist, he was writer in residence for the Georgia Council for the Arts and Composer in Residence for the Academy Theatre in the 1980s. In the 1990s he was the Artistic Director of Theatrical Outfit and composed music for 17 Alliance Theatre productions (Angels in America, The Seagull, et al). Since then he has served as the director of several university theatre programs. He was Georgia Author of the Year in 2015. National theatrical work includes the 2002 New York Edgar Award-winning mystery play Easy, and, for the Alliance Theatre, the Suzi Award-winning Edward Foote. His Appalachian Christmas Homecoming has been produced nationally since 1994. Phillip DePoy also holds an undergraduate degree in English literature and folklore, and a graduate degree in performance art. He is deliriously married to playwright Lee Nowell. Sydney Roberts (Costume Designer) has been designing costumes for 43 years! Some of her favorite work has been on shows for families and she designed the last production of The Wizard of Oz here at the Alliance Theatre in 2012. Regional theatres include Portland Center Stage, Geva Theatre, Red Mountain Theatre, and Barking Legs Theatre. She has worked with just about every theatre in Atlanta and taught at the University of Tennessee at Chattanooga, Emory University, and Oglethorpe University. She is a member of USA -829. Not limited to costumes, she has designed bike jerseys and wedding dresses. She sings with a band, One Voice, and recently added animal husbandry and tractor driving to her repertoire. Thanks for everything, Rosemary! Rosemary Newcott (Director) is the Sally G. Tomlinson Artistic Director of Theatre for Youth and Families and has worked at the Alliance since 1988. Her directing credits include Paige in Full; The Jungle Book; Alice Between (premiere); A Christmas Carol; Cinderella and Fella (premiere); Slur (premiere); Waiting for Balloon (premiere); The Lion, the Witch and the Wardrobe; Pearl Cleage’s Tell Me My Dream (premiere);Courage (premiere); The Wizard of Oz; Seussical; Class of 3000 Live! (premiere); Go Dog Go! ; Einstein Is a Dummy (premiere); The Book of Ruth; The Hobbit; and many more. She directed the Alliance’s Palefsky Collision Project for its first 10 years and pioneered the Alliance’s innovative Kathy & Ken Bernhardt Theatre for the Very Young. Favorite directing experiences nationally include Jason Invisible and Knuffle Bunny: A Cautionary Musical for the Kennedy Center, and Frida Libre for La Jolla Playhouse. Rosemary was named an Atlanta Lexus Leader of the Arts in December 2001 and also received a prestigious Princess Grace Foundation Fellowship. The Atlanta Journal-Constitution named her the best director of the year in 2002 and, in 2005, she won the GTC Distinguished Career Award. She is a 2009 recipient of the Princess Grace Special Projects award and several Suzi Bass awards, including the 2010 Spirit of Suzi award and the 2018 Lifetime Achievement Award. She has served on the boards of TYA/USA and Kennesaw State University’s theater department. Rosemary has degrees from New Jersey City University and Northwestern University, for whom she currently serves as an Industry Mentor. She is a member of AEA and SDC. She is embarking on a new incentive called CONNECT which is a creative experience for early stage folks with dementia and their caregivers. This is Rosemary’s final season as Alliance AD of TYF, and she will be forever grateful for the many gifts she has been afforded through her association with so many remarkable human beings. We're a proud Art Partner of the Woodruff Arts Center. © 2019 Alliance Theatre, a tax-exempt 501(c)(3) organization - charity number 58-0633971. All rights reserved.